We have spent years bringing together world leaders in dermatology and skin care to support your practice. Chances are you come across skin conditions frequently, and we want to be sure you have the latest research and expertise to inform the decisions you make for your patients and clients. Clinical research on natural and integrative approaches is rapidly growing. We review and deliver evidence behind integrative approaches to dermatology with practice-changing skills and a multi-disciplinary approach to provide the best care for your patients. LearnSkin supports practitioners across the field of skin care and healthcare community, including dermatologists, family practice physicians, pediatricians, internists, osteopathic doctors, naturopathic doctors, physician assistants, nurses, acupuncturists, Ayurveda practitioners, and estheticians. Physicians are the backbone of medical care and skin related issues are the most common reason that patients seek outpatient medical care. Dermatology. . .
Medical facilities cannot thrive without nurses. You are the foundation to patient care and a successful practice. Patients rely on you to provide. 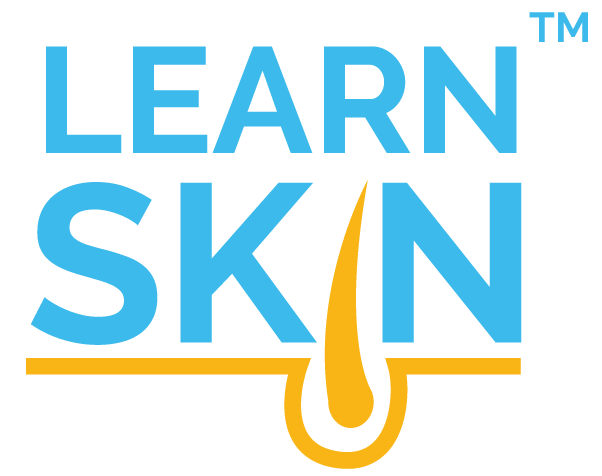 . .
LearnSkin was created by practitioners for practitioners. We’re focused on providing up-to-date continuing education for physician assistants taught. . .
Dermatologists are the experts in skin care including medical, surgical, and cosmetic dermatology. However, the field of dermatology and clinical. . .
Estheticians are often exposed to a variety of skin types and concerns. Clients seeking beautification may also have medical concerns that need to. . .
By bringing together leading naturopaths who specialize in dermatology, LearnSkin aims to support naturopathic doctors who see skin concerns commonly. . .